Houston skyline photo, with 5 Houston Center, which sold earlier this year. HOUSTON – (By Dale King, Realty News Report) – Investment sales at midyear were up 300 percent in Houston, which now ranks fourth in the nation in investment sales, according to a new Avison Young study. While the fall-out from low oil prices plagued the Houston market last year, and investors shied away because of uncertainty about the whether Houston had hit a firm bottom. But oil prices have held in the $40 to $50 a barrel range and layoffs have tapered off. So in the first half of the 2017, over $1 billion in real estate sales were completed in Houston, a major increase, says Avison Young’s just-released Fall 2017 North America & European Commercial Real Estate Investment Review. The Avison Young survey ranked 54 metros in the U.S. and Canada, including Houston, Dallas and San Antonio in Texas. 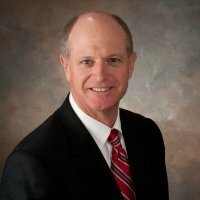 Rand Stephens, principal and managing director of Avison Young in Houston. The Avison Young survey ranked 54 metros in the U.S. and Canada. Parkway Inc. sold a 49% interest in Greenway Plaza and Phoenix Tower for $512 million in April. The deal provided momentum to the office market and prompted several other owners to place trophy assets on the market. 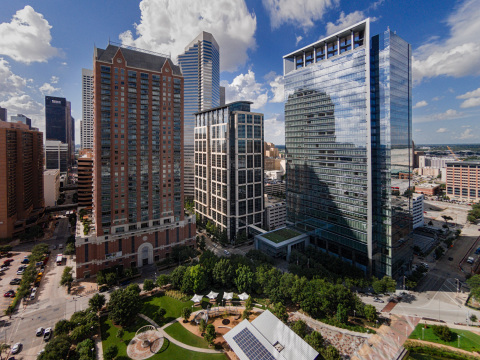 Then, in the June, it was announced Canadian investors would buy the entire Parkway firm for $1.2 billion, a significant play because Parkway owns an 8.7 million SF portfolio consisting solely of office buildings in Houston. Top-tier Houston Center, a 4.2 million SF complex in downtown Houston went up for sale earlier this year. Brookfield recently agreed to buy Houston Center from J.P. Morgan Asset Management for $875 million in a deal expected to close later this year. San Francisco-based Spear Street Capital jumped into the Houston market in a major way this year, buying several Houston properties, including 5 Houston Center in downtown, the Exxon Upstream Research campus on Buffalo Speedway, the 515 Post Oak Boulevard building, and the Energy Center I building near Interstate 10 and Dairy Ashfors. “The industrial market was Houston’s best performing asset type throughout the downturn. Investment volume in the first half of 2017 was up 126% compared with the first half of 2016. Multi-family properties continued to lead investment activity, recording nearly $2 billion in sales through mid-2017. In Dallas, says the report, foreign and domestic investors are taking notice of the explosive growth occurring in the booming Dallas-Fort Worth market. An above-average level of office leasing, construction and investment activity during the past three years has solidified global recognition of D/FW as a strong, stable market. The low cost of living and favorable business climate continue to attract large corporations to the Metroplex, producing substantial employment gains and a population boom.